You’re reading novel The Good for Nothing Seventh Young Lady Chapter 1365 online at LightNovelFree.com. Please use the follow button to get notification about the latest chapter next time when you visit LightNovelFree.com. Use F11 button to read novel in full-screen(PC only). Drop by anytime you want to read free – fast – latest novel. It’s great if you could leave a comment, share your opinion about the new chapters, new novel with others on the internet. We’ll do our best to bring you the finest, latest novel everyday. Enjoy! "Little Xiao’er, how is your progress in enchantment?" Liang Qiu smilingly looked at Shen Yanxiao. He could be regarded as Shen Yanxiao's enchantment master, and he also had more status than the several other old farts. 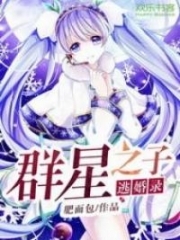 Shen Yanxiao respectfully replied, "I’m just able to write a complete magical character, but I still can't combine them and am still practicing on it." As Shen Yanxiao spoke of her achievement in enchantment, her warm-blooded heart quickly turned into a pool of cold water. Her ability to learn anything very fast worked on anything except this enchantment. She had already been fighting to death with this enchantment for half a month, yet her progress was still not much. Liang Qiu did not feel that Shen Yanxiao’s progress was slow. Rather, he thought that she was really very talented. "Magical text is not the same as ordinary text. The fact that you can write a complete magical word in half a month is already very remarkable. That kid Mo Yan had only been successful after half a year." She definitely would have gone insane! An Yan gave Wu En and the others a meaningful glance, letting the five of them continue to talk with Shen Yanxiao alone. Su Qian and Su Chen were temporarily taken away. 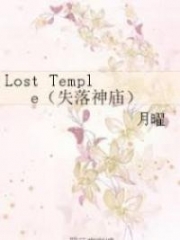 Within the hall, there were only the five old urchins of the Moonlight Tribe and Shen Yanxiao, this one little imp. "Little Xiao’er, you don't know but after you left, us several old fellows really felt too bored, ah." Wu En looked at Shen Yanxiao with a distressed look. Originally, after their tribe welcomed a little elf, their boring days finally had a slight adjustment. But who would have known that Shen Yanxiao would only stay for five days before she left, which made these few old fellows, who had finally realized with great difficulty the love and joy of a family, become easier to get upset. If not for Elder Yue, they probably would have traveled to Jadeite City directly after Shen Yanxiao’s departure from Wind City. "I even wanted to grow mushrooms." Liang Qiu also felt that it was a great pity. It was rare to find a diligent little apprentice like Shen Yanxiao; the result was that they could not work side-by-side, simply making him want to weep, ah. "Ai, we came to the Jadeite City so we can also take a look at you once more. Once you have entered the Moons.h.i.+ne City, except for that old guy Wu Yue, we probably won’t have much chance to see you again." Qing Xuan was quite laden with grief as he spoke. Moons.h.i.+ne City was a confidential place of the Moon G.o.d Continent. Even if it was them, they could not enter and leave that place at will. "You’ll have to come back and see us later." Cang Yan said rather pitifully. Because Jing You’s age was the "smallest", his skin was not yet thick enough to excessively display his emotions. Shen Yanxiao did not know whether to laugh or cry as she looked at the five old fellas whose hearts were filled with grief. She smile and said, "Grandpa Wu En, you all should not tease me. Have I not brought you Su Qian and Su Chen? Although the two little ones are a little afraid of strangers, their characters are quite good. If they learn in your hands, their future achievements certainly will not let you down." At the mention of Su Chen and Su Qian, these five elderly elves who were staging bitter dramas broke into smiles. "Those two little guys have good root bones. I actually have a few connections with their grandfather. Now that I can pull one of his kin, it is surely fate." Wu En felt melancholic. At that time, he knew a little about what happened to Su Yue's tribe; due to this reason, he was unable to draw Su Yue into the Moonlight Tribe. In the end, Su Yue chose to stay in the Moons.h.i.+ne Tribe. But fate, this kind of thing, was truly hard to comprehend. If there were fate, even a thousand tries and a hundred turns would still bring people together. If there were not, what was seized by force would never last forever. 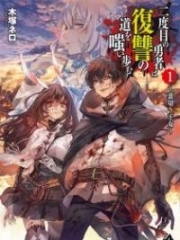 You're reading novel The Good for Nothing Seventh Young Lady Chapter 1365 online at LightNovelFree.com. You can use the follow function to bookmark your favorite novel ( Only for registered users ). If you find any errors ( broken links, can't load photos, etc.. ), Please let us know so we can fix it as soon as possible. And when you start a conversation or debate about a certain topic with other people, please do not offend them just because you don't like their opinions. You're reading The Good for Nothing Seventh Young Lady Chapter 1365. This novel has been translated by Updating. Author: North Night,夜北 already has 1855 views. Current Time is Apr-18-2019 14:43:16 PM.